Four Australian birders have documented the first verified sighting of Night Parrot in Western Australia in over 100 years. It is an extraordinary development in the 'rediscovery' of a barely known and mysterious species that was considered close to extinction as recently as 2013, when John Young tracked the species down in Queensland. This latest sighting came from an area more than 2,000 km from the known range in that state. In an attempt to find the bird, the team, who hail from Broome, studied aerial maps and spent days camping out, listening for Night Parrot vocalisations. "There were quite a few of them, there was at least five or six of these things calling around us, so we didn't know what they were, but we saw the habitat was beautiful and thought that they could be Night Parrots." To avoid any issues with poaching and disturbance, the team is not disclosing the site and simply described it as a "dry inland area" — this applying to about a third of Western Australia. The last record of Night Parrot in the state came in the Pilbara in 1912, when the only known specimen for more than 100 years was collected. A possible nest was found there in 1971. There are several reports from the 2000s but, lacking evidence, these remained uncorroborated. 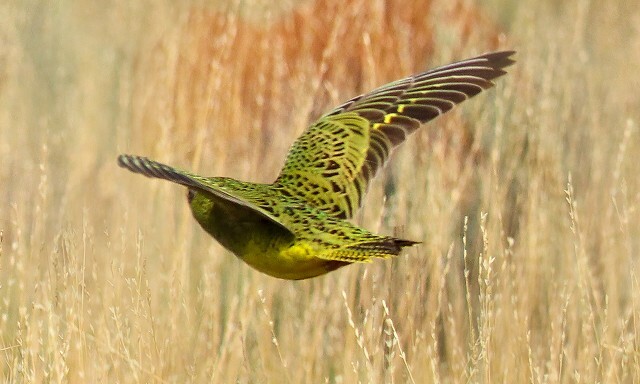 While it is unlikely that Night Parrot occupies an unbroken range across the entire arid interior of Australia, this find gives scientists and birdwatchers hope that population 'pockets' remain in areas relatively undisturbed by development, other human-caused habitat degradation or feral animals.